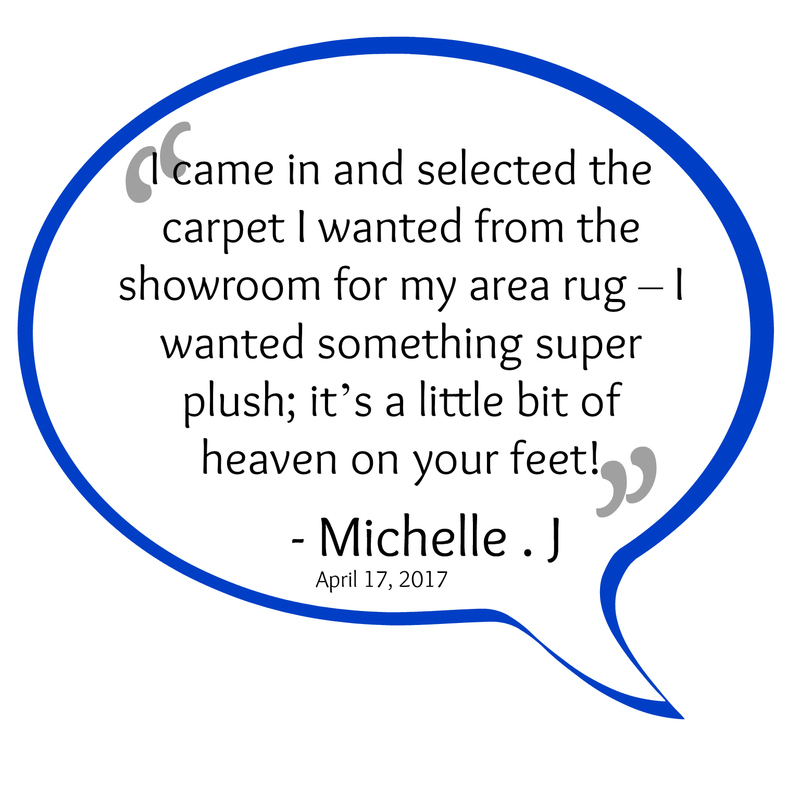 We love hearing from our clients! 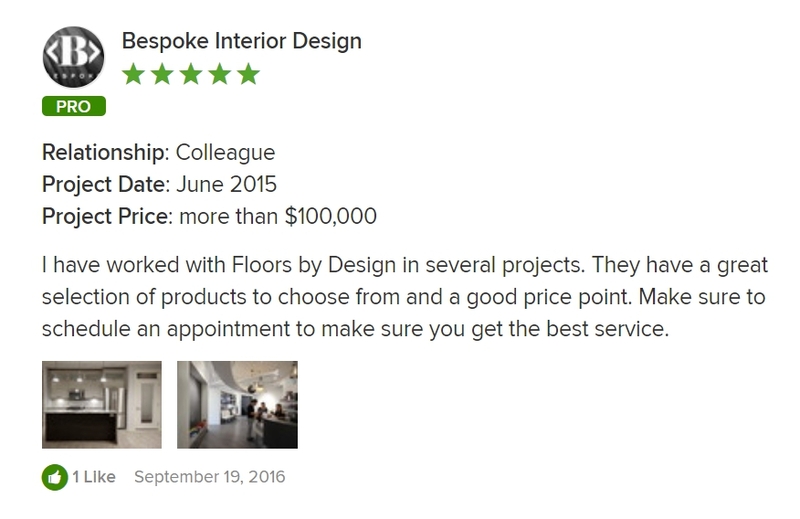 You can read more reviews for us on our Houzz account or our Facebook account! 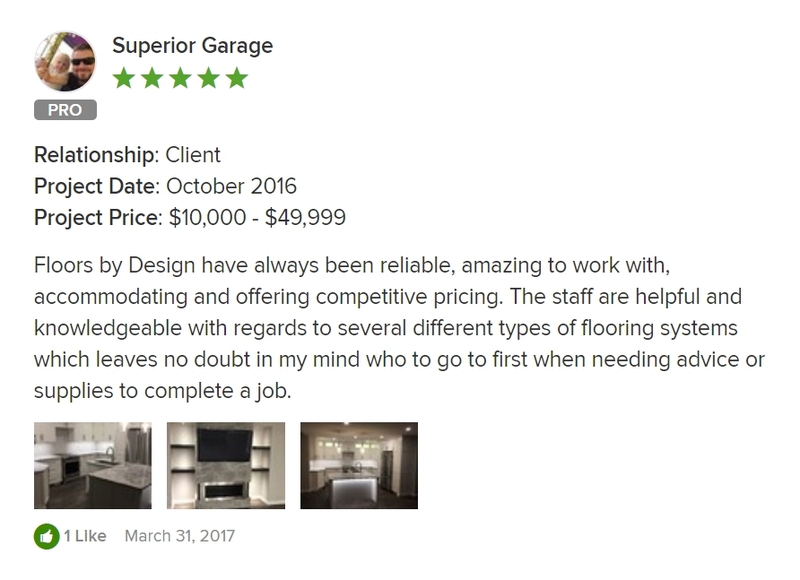 Our reviews are from clients, contractors, interior designers, and other professionals and consumers in the industry - We'd love to hear how your experience was with us! "I saw a floor in a show home that Floors by Design had done... I loved the look! I had a renovation project. I immediately felt very welcome and felt that Floors by Design's staff provided excellent customer care. I was greeted by Payton and instantly felt a connection to her! I just needed outside opinion from someone and was that person! I would most definitely recommend Floors by Design! A HUGE warm thanks for Payton!! My reno turned out fantastic and I have had so many compliments!" The Bloom project is one that displays the thoroughness of our staff and installers. Dawn came into our showroom located at 206 4th Ave. East and worked the Chloe. Together they selected several beautiful materials and Dawn signed out the samples for free to see how they looked in her lighting and compared them to her vanity and countertop. After seeing the materials at home, Dawn called Chloe back and scheduled a site inspection. Chloe then went out to Dawn's home to measure the space and confirmed that the tile selections would be a perfect fit. Our tile installer that would be completing the Bloom project also went onsite with Chloe to talk with Dawn about tile placement, tile directions, grout selections, etc. to ensure the best results for Dawn. "I went to Floors by Design for the variety of tile selection and helpful staff for a bathroom renovation project. Chloe was fantastic at selecting options to consider getting the look I was attempting to achieve. After months of trying to piece it together myself Chloe helped me move the last mile to decision making. After visiting our home, she assured me that our selections would flow with the rest of our home and worked closely with the installer to ensure details were spoken about in advance. We would absolutely recommend Floors by Design and work with them again! Thank you!!!" 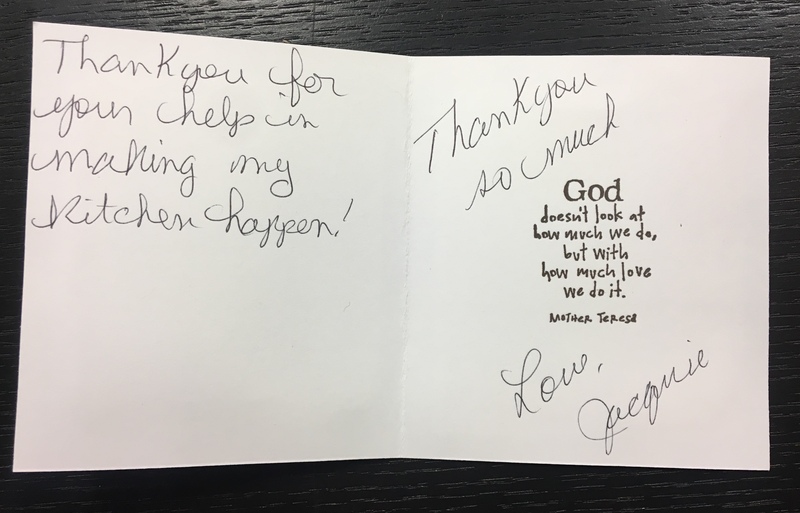 "Karen and I were referred to Chloe at Floors by Design by Ryan and Ashley of KRC Homes for repair of water damage. We are very happy with the results on our projects! Thanks in great part to Chloe’s knowledge and expert advice in helping us choose from such an array of products. All the staff and installers were always very friendly and professional. I’d like to make special mention of Taylor who installed our backsplash tiles in the master bathroom. He was very courteous and did an excellent job - A very nice young man! Thank you again for all your patience with us, and the fine job you did. I have already recommended Floors by Design to friends." "We were referred to Floors by Design by Steve from Northern Fireplace. We were working on a renovation project: complete main level floor replacement. Payton was very informative and great to discuss options with. It was a great experience! Kelly helped us with the delivery date, pickup and assisted Payton - Excellent service!!" "We were building a new home with Ripplinger Homes and they recommended us to go to Floors by Design. Payton was a pleasure to work with. She was very patient and really listened to what style I was going for. Payton got everything bang on! We are so happy with the way everything turned out and glad she suggested the darker grout for the kitchen backsplash - It looks amazing! I would definitely recommend Payton and look for to future projects!" 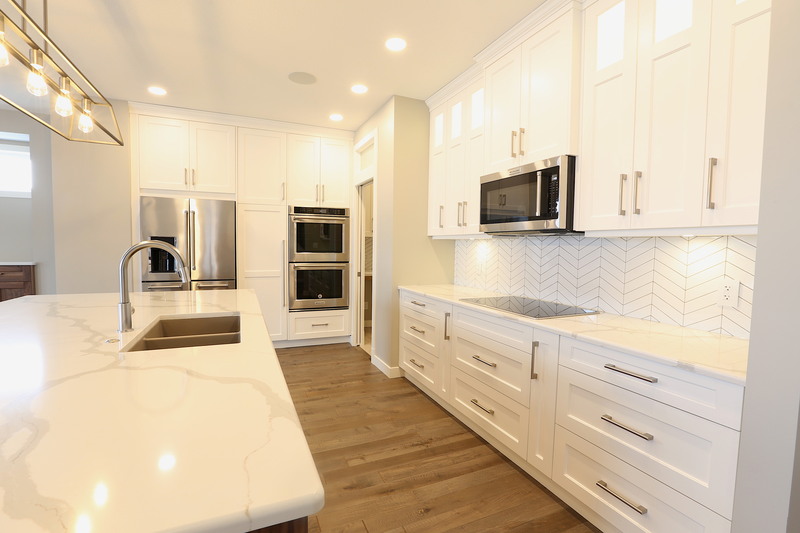 "I have undertaken a couple of renovation projects in my home and I didn't think twice of where I was going to go for my flooring and tile materials - Floors by Design! The minute you walk into the impressive showroom you can feel the energy and passion of the staff. It is very much a family environment with caring and knowledgeable staff who really take the time to assist you with picking out the PERFECT products. With so many amazing products to choose from, it can feel overwhelming - but it wasn't! Special thanks to Chloe, Payton and Darren for the time they have spent with me and the fun we had while picking out the perfect products for my home renos! I also appreciated the installers who were all friendly and very courteous. The attention to detail and the pride in their craftsmenship was very evident. They left my house as clean as it was before they arrived! I love my new flooring and tiles and I receive lots of compliments on my renos! I highly recommend Floors by Design - Excellent customer service from start to finish!" 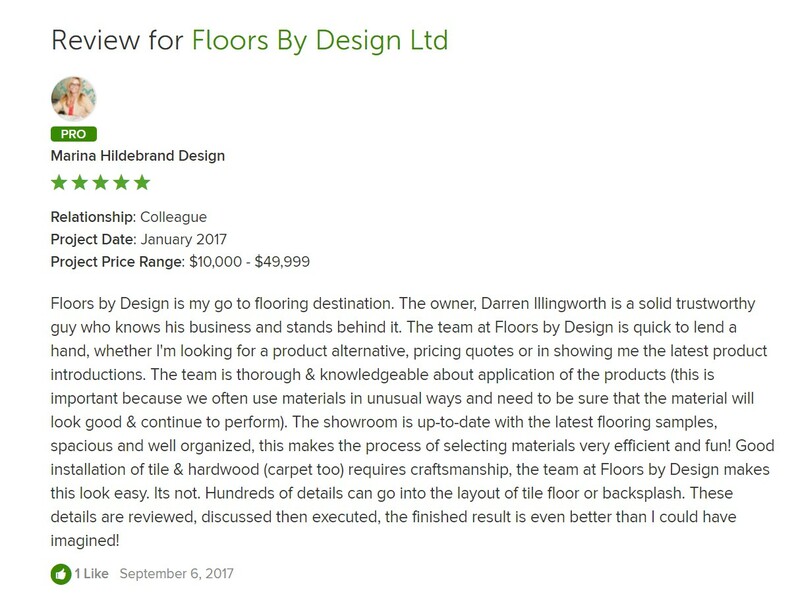 "I found Floors by Design from the 411 app on my phone - I was looking for help on my bathroom renovation. Working with Payton Ramstead was an absolute delight! She was so very helpful in picking out colours and giving advice on our project. 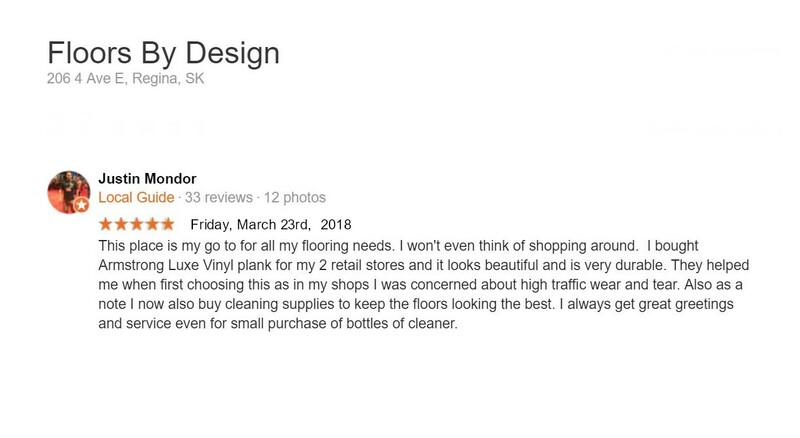 I would absolutely recommend Floors by Design - So long as it's with Payton!" 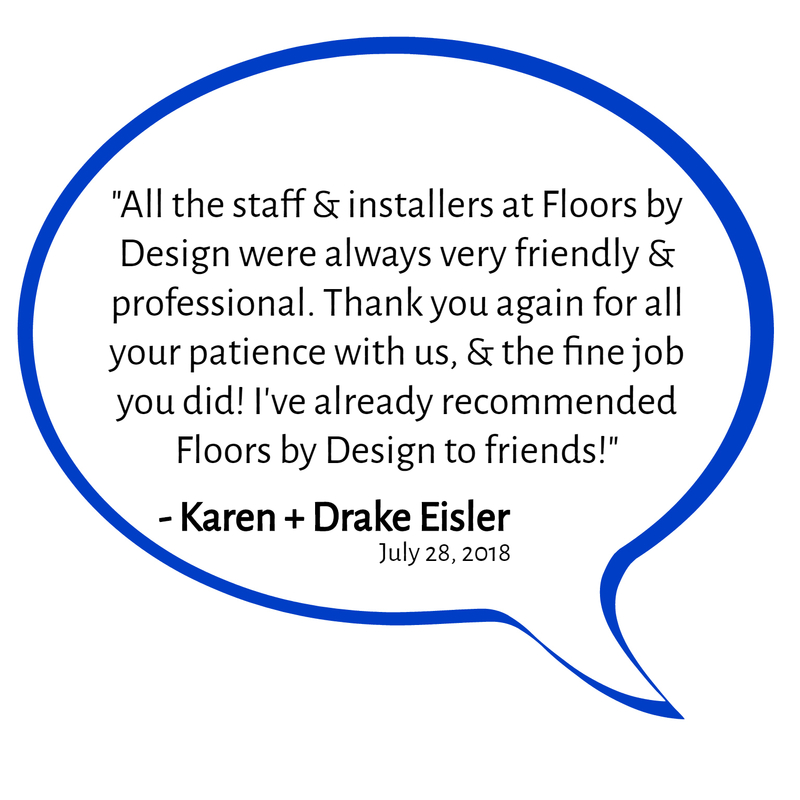 "Our friends; Ashley and Ryan Eisler from KRC Homes as well as our designer friend Carli Rodger from Citizen Design Co. made the suggestion for us to check out Floors by Design. 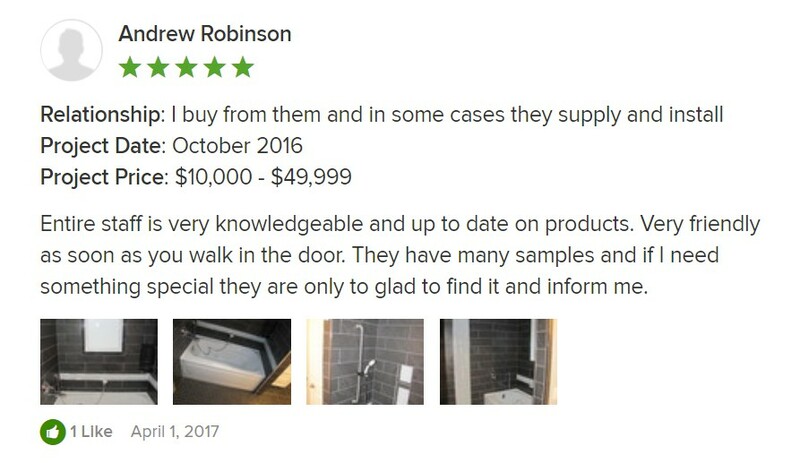 We were seeking flooring as well as back splash tile. Bryden and I completely re-designed and renovated two floors of our 2500 square foot two story which included: a new kitchen, dining room, living room as well as the four bedrooms, office, laundry and three bathrooms. We worked directly with Chloe and were more than pleased with her knowledge of both product and interior design. She lead us to all of our decisions and we couldn't be happier!!! We corresponded through email, chatted on the phone and met in person at the Floors by Deign showroom. During our meeting at Floors by Design, Chloe helped us put everything together... from tile to carpet to flooring. We are very happy with the end result and happily settled in our new home! We would definitly recommend Floors by Design. If we have any other projects in the future, we will certainly contact Chloe to help us with our design decisions. Thank you again SO much!!" "We had used Floors by Design in the past and were very impressed with the quality of their products and the services they provided [design consultations, material selections, installation, etc]. When renovating our basement this year, we looked at other flooring companies, but again Floors by Design had the best selection and best quality of products! We had the pleasure of working with Chloe - She was very knowledgeable in their products and was VERY helpful in matching colours. Chloe was always very accommodating. We would absolutely recommend Floors by Design and work with them again in the future!" 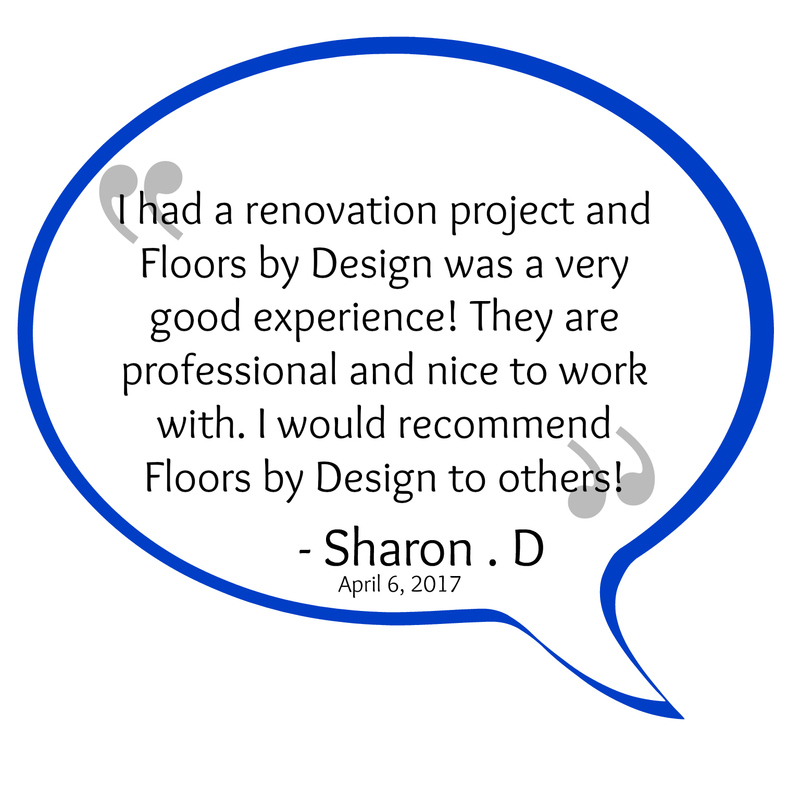 "I've had past experience with Floors by Design. This time, I had a material replacement project I was working on. My experience with Floors by Design was excellent (again). I would recommend anyone to work with Floors by Design - I know I will continue to work with Floors by Design for my projects!" "I was working on a renovation project, I came into the store a few times and everyone was helpful, happy and friendly. Llizz came to my house to help me pick things for my home and Randall and his crew fixed my floor, Corey paid great attention to detail as he laid my new flooring. Even though I knew nothing about floors, they patiently answered all of my questions. When I would get stressed out because I didn't kow things Llizz would encourage me, "Trust them, they are the best at what the y do" and she was right! Long story short, I now have a beautiful new home - Thanks Floors by Design!" "Friends and family had purchased product from Floors by Design in the past and recommended the excellent staff. We renovated our kitchen, bedroom, office and entranceways and needed new flooring to update our existing flooring. From start to finish we had an awesome experience! Michelle assisted us with her great knowledge and understanding of our wants and needs. Jack assisted with measurements and estimating. KT and Matt did a superb job of installing. We cannot thank them all enough for a great job!!! 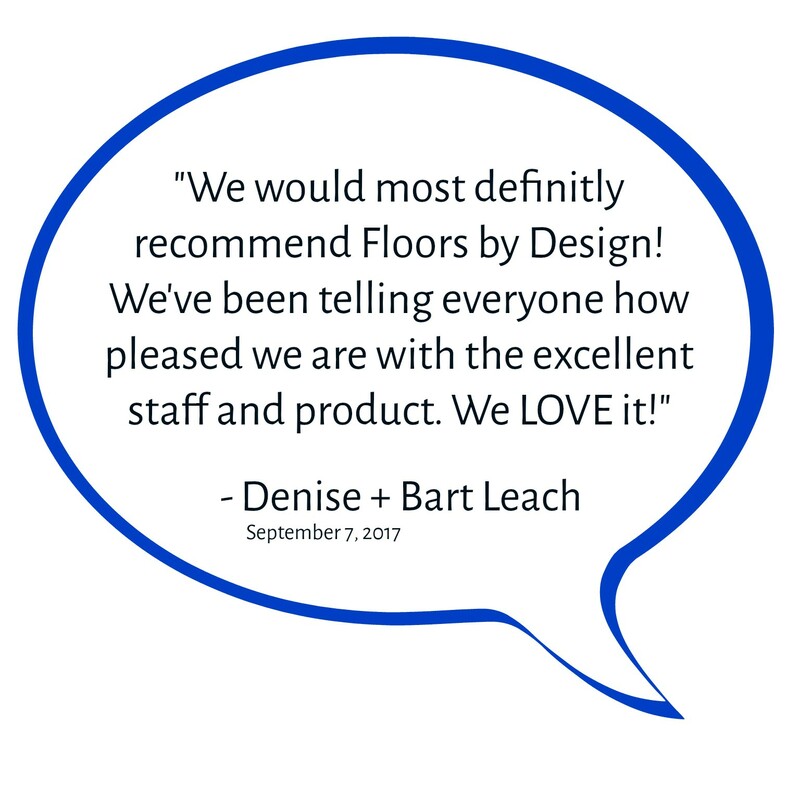 We would most definitely recommend Floors by Design! We've been telling how please we are with the excellent staff and product. We LOVE it!" "We were looking for a back splash for our kitchen. There are a few options in Regina and we found that Floors by Design had the best selection - By far! 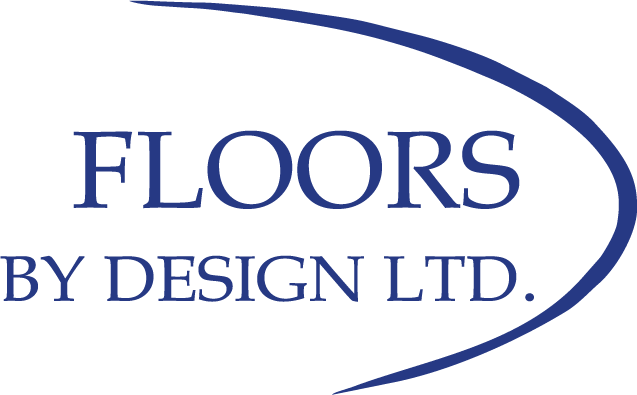 The service at Floors by Design was very good - Staff was helpful and accommodating. We were particularly impressed with Payton Ramstead. She was personable and professional. She took time (on her own time!) to come to our home to help us make the best choice. We valued her advice immensely and are happy with the back splash we chose. Payton also took care of our order and communicated with us until it arrived which we very much appreciated since we were on a tight time line. 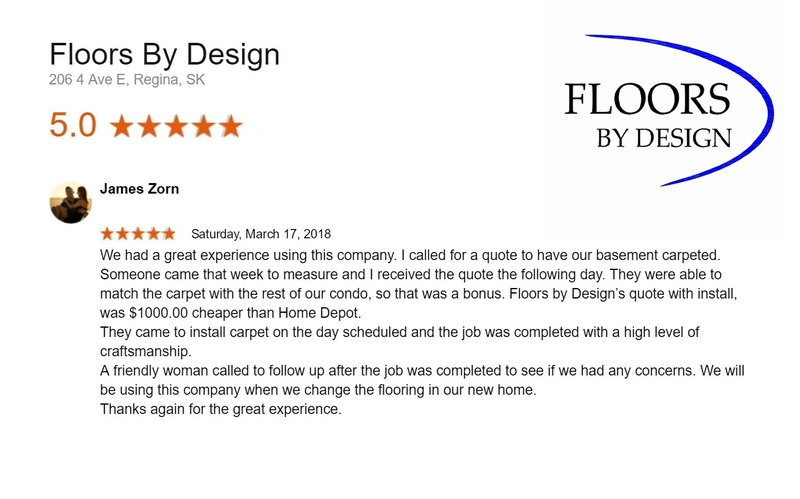 Thanks So much Payton - We would definitely recommend Floors by Design to others and work with you again!" "I was looking to replace flooring on the main and upper level of my condo - We just wanted to update and freshen up my place. From beginning to end, Chloe Shields was terrific with making the colour samples available for me and working with me to make my selection. Knowing the current trends, along with my taste, preferences and needs - Chloe was able to help me chose a product that I absolutely love and now get nothing but compliments on! The arrangements for the removal and disposal of my old flooring were very quick, and installation went off without a hitch! I could not be more pleased with Chloe's product knowledge and customer service, Daniel's demo work and Matt's installation! Everything was done in a timely manner with as little disruption to my house as possible given the fact that two entire floors were being done! I would highly recommend Floors by Design again! "I have a Heritage Property that is 104 years old. It had some very old flooring in it that needed to be redone. The entry was carpeted and the kitchen had old linoleum on it. 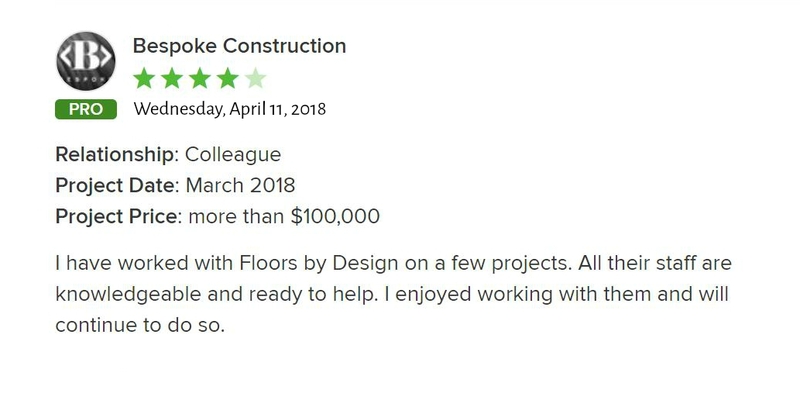 I was referred to Floors by Design. When I went in there, not only did they have a very beautiful show room, but the service was incredible, as well as their attention to what I was looking for. Upon choosing executive vinyl planking, the fellows that came to install it, were very friendly, efficient, and cleaned up after themselves each day. Upon completion, I was very satisfied with the work, and had many compliments on the product, and how it fit in with the age of the house. I will use them again for my next renovation, and would recommend them in a heartbeat." "We love our new ceramic floor, carpet and tile installation. Thank you so much for helping us select such great products and color – it’s perfect!! The installers did a great job and we are amazed with the finished look! Thanks again Floors by Design!" "The staff and owner of Floors by Design are well acquainted with the latest products and offerings in the floor coverings industry, as well as all building code requirements and standard practice in the home building industry. 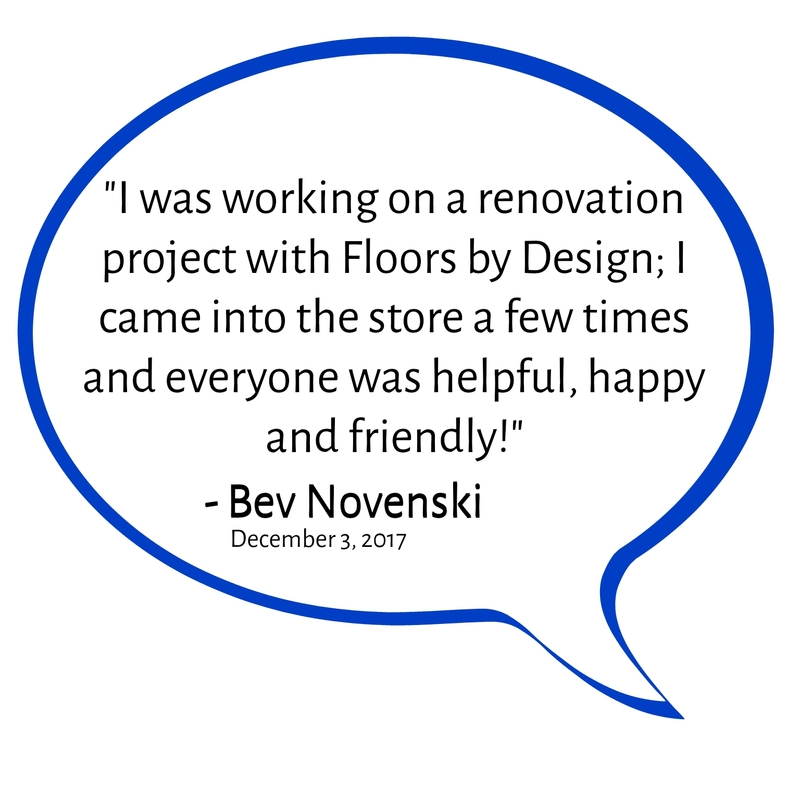 Our clients receive courteous and respectful treatment from all of the staff at Floors by Design and no request is too complicated, too difficult or not worthy of consideration. Floors by Design is both patient and respectful of the third party involved in our process and the changes and demands often required by that third party. The installation team is the “best in the business” and the tile installation and hardwood installation provided to our clients is superior. In the event of after sales service, they make and keep scheduled appointments – something that is very important to our clients once they have taken possession of their new home. Their people are their greatest asset and it is a privilege to work with them all." 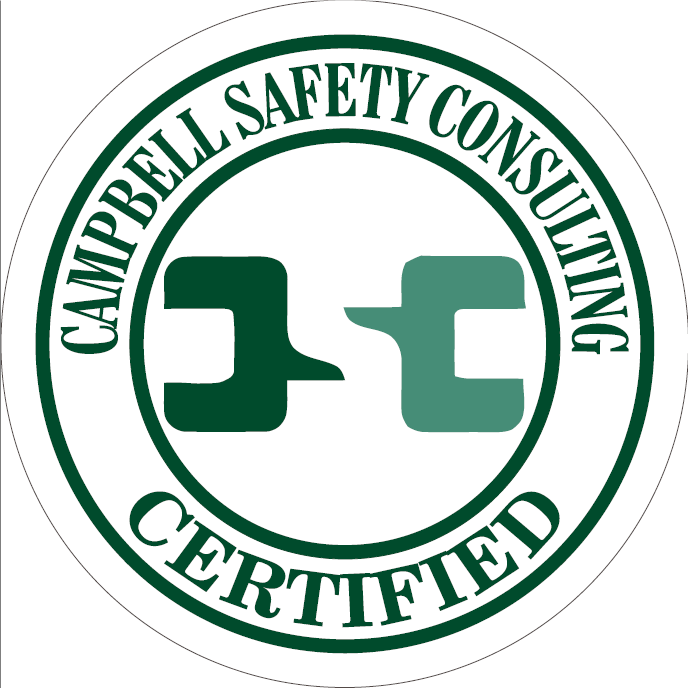 "In 2013, Floors by Design teamed up with Campbell Safety Consulting to create a comprehensive health and safety program. Through dedication and perseverance Floors by Design has overcome the obstacles that occur at the beginning of any health and safety program. They have become a safety leader in the flooring industry and they have set the bar high by creating a safe working environment within their company. Darren and the entire Floors By Design team have achieved this goal by making a commitment to embrace and install a safe working environment. Safety is now a practice which is implemented on a daily basis and integrated into the normal working routine."